U.S. Secretary of Energy Steven Chu will return to Stanford this spring as a faculty member following the conclusion of his four years in office. Chu’s appointment will mark his second stint at the University, where he had previously worked as a professor of physics and applied physics from 1987 to 2008. Upon his return, Chu will be the William R. Kenan, Jr., Professor of Humanities and Sciences, holding a joint appointment in the Department of Physics and the School of Medicine’s Department of Molecular and Cellular Physiology. The exact date of his departure from the Department of Energy is currently unknown and likely dependent on the process of nominating his successor. Chu framed his decision to return to Stanford as a natural move for someone who viewed his time in office mostly as a break from academia. “The highest point in my career was when I became a professor in [such] a great institution,” Chu said. At Stanford, Chu will focus on issues surrounding energy efficiency and policy, in addition to launching an initiative in advanced bio-imaging and pursuing other interdisciplinary projects. 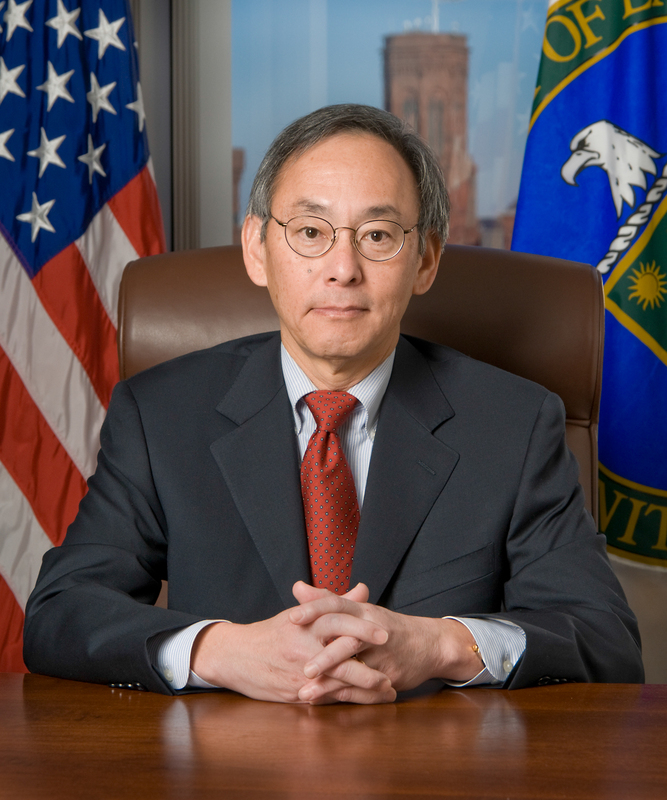 Despite Chu’s evident comfort with academia, he cited his time as Secretary of Energy as invaluable in broadening his approach to the issues he’ll address upon his return and providing perspective on academia’s role in driving progress. As part of that emphasis on education, Chu said that he looks forward to teaching and interacting with undergraduate as well as graduate students. “[Teaching] a freshman seminar was one of the most enjoyable experiences I’ve had,” he noted. Born in St. Louis in 1948, Chu studied as an undergraduate at the University of Rochester before obtaining a Ph.D. in 1976 from the University of California, Berkeley. After a stint in the private sector at AT&T and Bell Laboratories, where he performed the work developing methods to cool and trap atoms with laser light that ultimately earned him the 1997 Nobel Prize in Physics, he joined Stanford in 1987. He worked as a professor of physics and applied physics for 21 years, including stints as chair of the physics department from 1990-1993 and 1999-2001, before he was nominated by President Barack Obama as Secretary of Energy and subsequently confirmed. After a four-year tenure marked by historic expansions in spending on green energy, Chu wrote in a letter to Energy Department employees that many major energy challenges– from a reliance on imported oil to lagging investment in green energy and a lack of action on climate change– still lie ahead. He emphasized, however, his intent to further his accomplishments as Secretary of Energy even after leaving office. “I would like to return to an academic life of teaching and research, but will still work to advance the missions that we have been working on together for the last four years,” Chu wrote. Even as he approaches a return to academia after his time in office, however, Chu acknowledged that choosing between Stanford and Berkeley– where he completed his postdoctoral studies and where he served as director of the Lawrence Berkeley National Laboratory from 2004 to 2008 — was a difficult decision. Ultimately, however, the presence of four of Chu’s grandchildren in Palo Alto proved to be a critical factor. “They’re both great universities, but I’m very happy to be coming back to Stanford,” Chu concluded.